If you love to garden, you’ve come to the right place. Bergman’s selection of perennials is the area’s most impressive! You’ll always find your favorites and, every year, we add a few new and different items! There’s tremendous satisfaction in developing a perennial garden and there are plants to suit just about any lifestyle, growing condition, budget and personality! Ask us! We’d love to help you! Proper selection and placement of perennial plants can result in a sequence of blooms that can stretch from early spring to late fall. Make plans now to visit the garden center for best selection, plus the right advice to make the most of your selections. 1. Planting and spacing: Perennials can be planted throughout the year, but perform best when planted in the spring and fall. Careful attention should be paid to the mature height and spread of each plant. 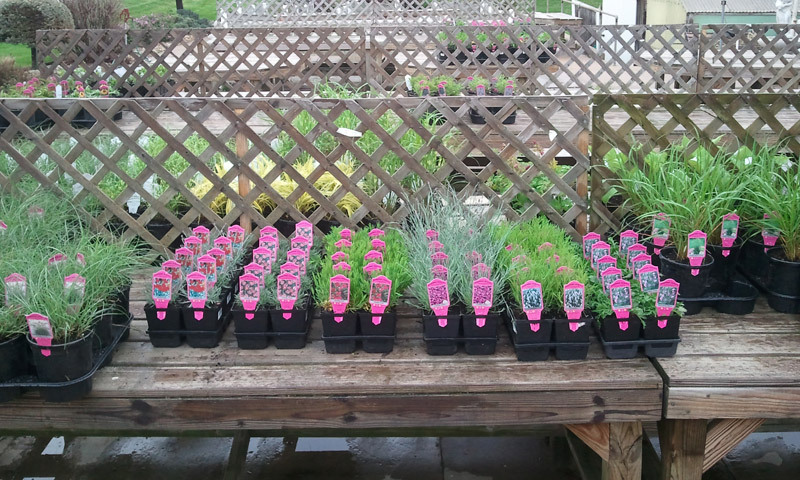 Refer to the care and culture tag on each plant, or ask one of our staff for more information. 2. Watering: Perennials need water to establish them when first planted. Water them deeply two to three times a week after planting. The moist soil will encourage good growth. For the best show of color all summer, don’t let up on the watering. After the second or third season they should survive on the strength of seasonal precipitation. Mulching your perennials will help with moisture retention and reduce weeding. Take care not to bury the crowns as that might lead to rot. 3. Feed your plants: You can feed your newly planted perennials as you would an annual. You should feed weekly with a water soluble fertilizer, or add a time-release fertilizer when planting. You’ll find traditional or organic fertilizers – either will do the job. One good organic is fish emulsion, and your perennials will grow even better if you top dress with compost. Finally, perennials can be divided seasonally. While some varieties have long tap roots, most are clump forming like Hosta, Daylily and most Daisy types such as Echinacea and Rudbeckia. The best time for taking divisions would be early spring and fall. Water in well and treat as you would a new plant.